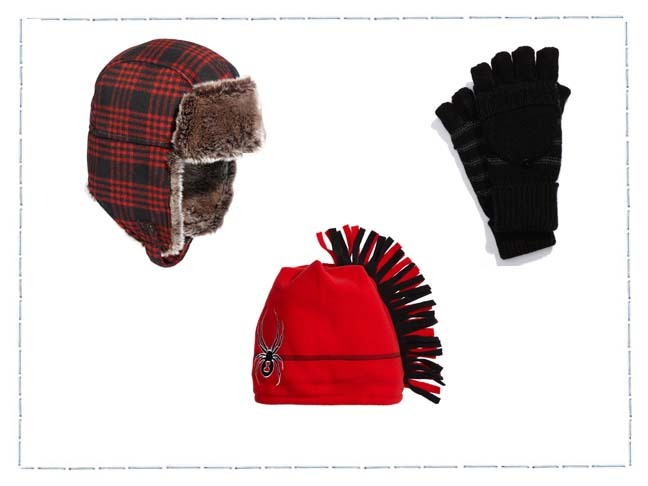 Keep your kiddo warm and happy with these super cool accessories this winter. You don’t have to compromise style — or break the bank — to make your son look good. This Plaid Trapper Hat ($29.50) has an amazingly soft faux fur trim that will keep your little guy’s head and ears nice and toasty. This plaid must-have hat has an adjustable chinstrap and can be matched with almost every outfit this winter. These Convertible Gloves ($14.50) will be a huge hit this year! They start as fingerless gloves and can be converted easily to mittens — fun and practical! The Spyder Fleece Hat ($25) has it all — the cool factor and the spooky factor. Your little guy will finally have the mohawk (um, fauxhawk) that he has always wanted. The Herringbone Tie (sale $5.99) adds a classy yet simple finishing touch to your little man’s wardrobe or outfit. The texture and color of the tie is fashionable and can be matched with a variety of colors and patterns for the holidays and beyond. The Cable-Knit Brimmed Beanie ($9.94) is boy style to the max! This brimmed hat is warm and perfect for the winter season. 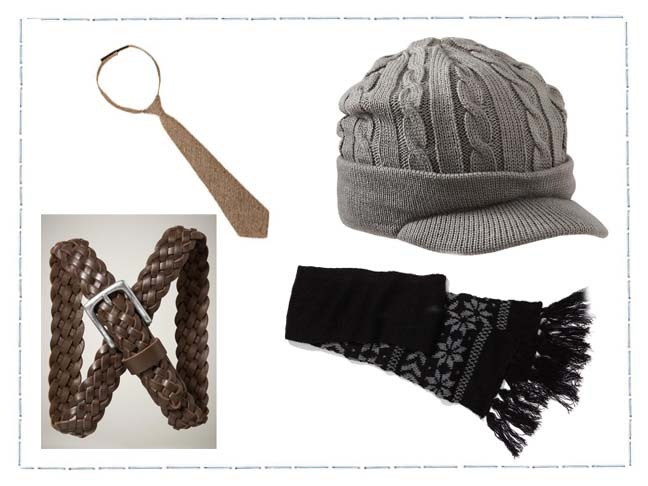 This Braided Leather Belt ($14.50) holds up your little guy’s perfect holiday pants with style. 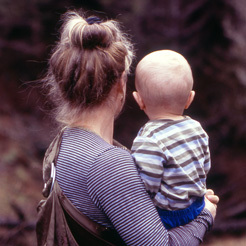 Braided belts are great for growing boys because they are easy to adjust! The Accessory Collection Printed Scarf ($19.50) is the best accessory for the holidays — and the winter season. With the super cool fringe and super soft geometric snowflake detail, your little guy will own the snow.